OK female readers this t-shirt is just to funny. 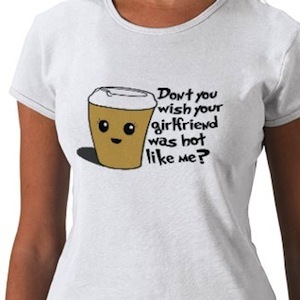 And of course this t-shirt has two meanings so if you are looking for some one new in your life then maybe this hot coffee t-shirt can help you to. Come get your Hot Coffee T-Shirt.